A lot of parents find it to be a bit premature to instill certain thoughts, ideas, and values in younger children. However, is it time that we reconsider that notion? Many experts and parents alike believe that children are more than capable of understanding and grasping a myriad of important life lessons and values by as early as five-years-old. Recently, Parents.com shared which of these 5 values are most important for your younger children to learn in their formative years. 16 pregnant women in Singapore have been infected with the Zika virus, the Ministry of Health (MOH) confirmed on Friday (Sep 23). The update is double that of the last publicly known figure. When Health Minister Gan Kim Yong addressed concerns about the virus in a statement in Parliament on Sep 13, he said that there were 8 pregnant women among the 333 persons who tested positive for Zika in S'pore. Responding to media queries on Friday night, the MOH said that 658 Zika tests were conducted between Sep 7 and Sep 17, of which 197 were for pregnant and or symptomatic individuals who required the test. The National Environment Agency (NEA) has stated that as of 21 September, 3 pm, there was one new case of Zika virus infection, bringing the total number to 384 cases. There were 12 new Zika cases reported in Singapore from Saturday to Monday (Sep 17 to 19), bringing the total number to 381 since the start of the outbreak on Aug 27. 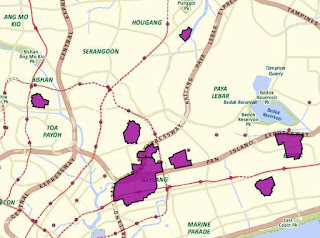 2 cases were detected in a new cluster: Hougang Avenue 7. 3 new cases were in the initial cluster in Aljunied, which has reported 286 cases so far. 14 new cases of Zika were confirmed as at 3pm on Friday (Sept 16), bringing the total number of locally transmitted cases to 369. 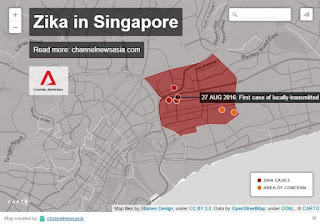 A new cluster at the Sengkang Central/Sengkang East Avenue area has also been reported, with two cases at Block 272C and Block 279C in the last two weeks, according to an update on the National Environment Agency’s (NEA) Zika webpage. This brings the total number of clusters to eight: Aljunied Crescent / Sims Drive / Paya Lebar Way / Kallang Way / Circuit Road / Geylang East Central / Geylang East Avenue 1; Bedok North Avenue 2 / Bedok North Avenue 3 / Bedok North Street 3; Joo Seng Road; Bishan Street 12; Elite Terrace; Ubi Crescent; Jalan Raya / Circuit Road; and Sengkang Central / Sengkang East Avenue. 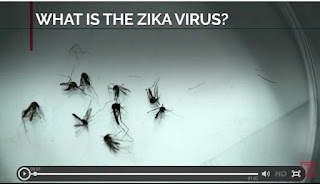 There were 14 new Zika cases confirmed as at 3pm on Thursday (Sep 15), according to an update posted on the National Environment Agency’s Zika webpage. This brings the total number of cases to 355. The number of clusters stays at 7: Aljunied Crescent / Sims Drive / Paya Lebar Way / Kallang Way / Circuit Road / Geylang East Central / Geylang East Avenue 1; Bedok North Avenue 2 / Bedok North Avenue 3 / Bedok North Street 3; Joo Seng Road; Bishan Street 12; Elite Terrace; Ubi Crescent; and Jalan Raya / Circuit Road. 8 new Zika cases were confirmed as at 3pm on Wed (Sep 14), bringing the total number of cases to 341. 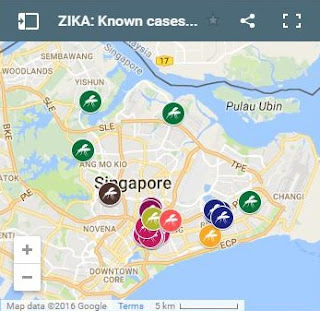 There are 7 Zika clusters now, and these are at Aljunied Crescent / Sims Drive / Paya Lebar Way / Kallang Way / Circuit Road / Geylang East Central / Geylang East Avenue 1; Bedok North Avenue 2 / Bedok North Avenue 3 / Bedok North Street 3; Joo Seng Road; Bishan Street 12; Elite Terrace; Ubi Crescent and Jalan Raya/Circuit Road. On Tuesday, there were no new cases discovered, the first time since Aug 27. Another 4 cases of Zika were confirmed as of 12pm on Monday (Sep 12), bringing the total number of locally transmitted cases in Singapore to 333. The authorities provided this updated figure on the National Environment Agency’s website late Monday night. As of Monday, it no longer issued daily advisories breaking down the numbers. 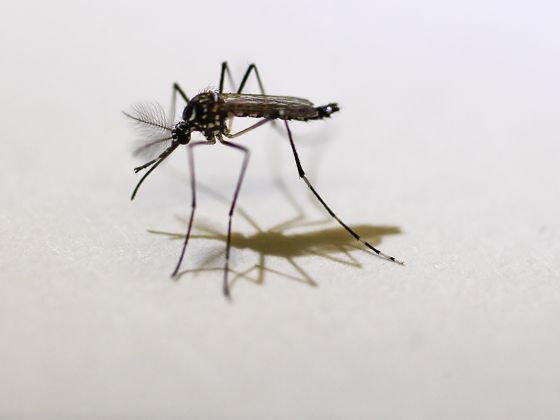 Eight pregnant women have been infected by the Zika virus among the 329 cases in Singapore, the government said on Sunday. Doctors are providing close support and counseling, the Ministry of Health and National Environment Agency said in a joint statement. On Sunday, the government confirmed 11 new cases of locally-transmitted Zika. There are now 8 confirmed cases of pregnant women infected with Zika in Singapore, up from 2 cases on Sep 1, the last time the authorities reported that a pregnant woman was infected. “Their doctors are following up closely with them to provide support and counselling,” the Ministry of Health (MOH) and the National Environment Agency (NEA) said in a joint statement on Sunday (Sep 11). As of noon on Sunday, 11 new Zika cases were confirmed, bringing the total number of locally transmitted cases to 329. The number of locally-transmitted Zika cases is now at 318, with 14 new cases confirmed as of 12pm on Saturday (Sept 10). There is a potential new cluster at the Jalan Raya/ Circuit Road area involving one previously reported case and a new case. Both patients live in the area. 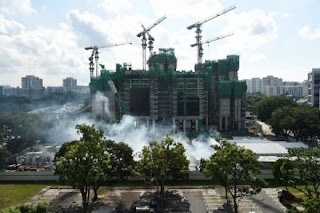 Of the other new cases, seven are linked to the Aljunied Crescent/ Sims Drive/ Kallang Way/ Paya Lebar Way cluster, one is linked to the Bishan Street 12 cluster and one is linked to the Bedok North Avenue 3 cluster. Twelve new cases of the locally transmitted Zika virus infection have brought the total number of infections in Singaporeto 304, it was announced on Friday. The Ministry of Health and National Environment Agency (NEA) said in a joint statement that among these newly reported cases, 10 cases are linked to the the main cluster spanning Aljunied Crescent, Sims Drive, Kallang Way and Paya Lebar Way while one case is linked to the Elite Terrace cluster, Xinhua news agency reported. The other new case has no known links to any existing cluster. Singapore confirmed 12 new cases of locally transmitted Zika virus infection on Friday, bringing the total number of Zika infections in the city state to 304, the Ministry of Health and National Environment Agency (NEA) said. 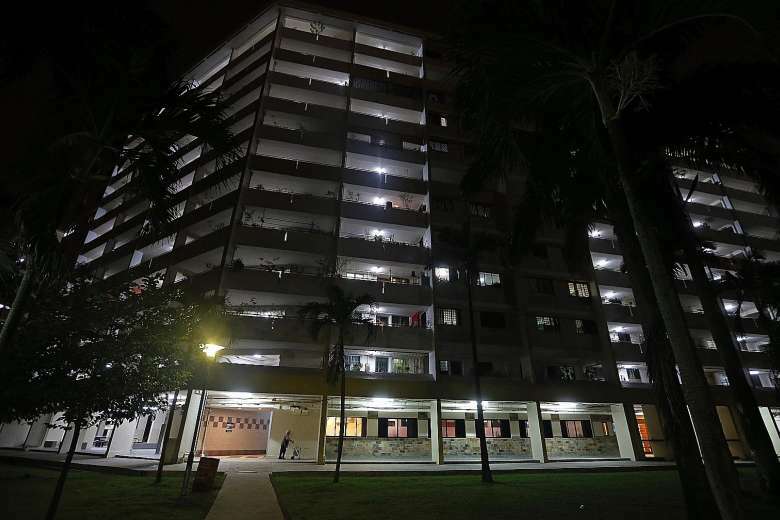 The health ministry said among these newly reported cases, 10 cases are linked to the Aljunied Crescent/Sims Drive/Kallang Way/Paya Lebar Way cluster and one case is linked to the Elite Terrace cluster. 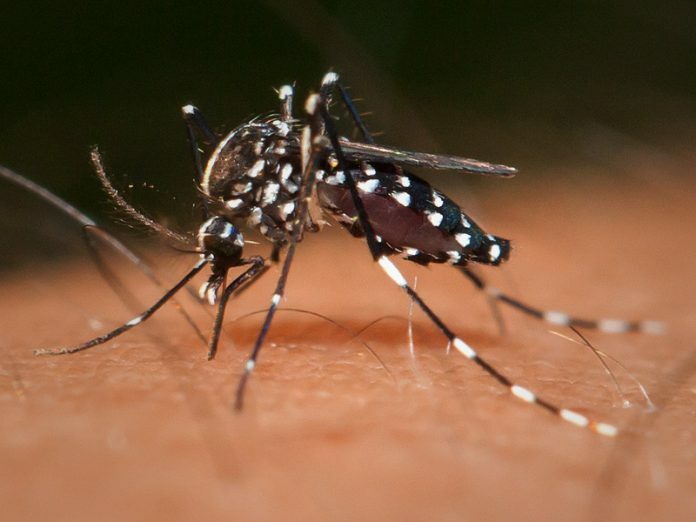 9 new cases of locally transmitted Zika were confirmed on Thursday (Sep 8), bringing the total number of confirmed cases to 292, the Ministry of Health (MOH) and National Environment Agency (NEA) said in a joint statement. The authorities added that there is a potential new cluster involving two previously reported cases and a new case, all of whom work in the Ubi Crescent area. One of the previously unlinked cases in the cluster was reported on Sep 7, and his work address was verified on Thursday. 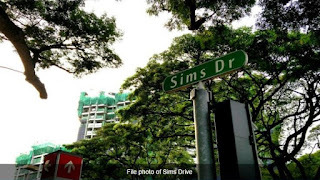 Of the other new cases, authorities said four cases are linked to the Aljunied Crescent/ Sims Drive/ Kallang Way/ Paya Lebar Way cluster; one is linked to the Bishan Street 12 cluster; and another case is linked to the Elite Terrace cluster. 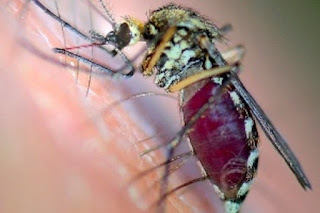 There were 9 new cases of locally transmitted Zika infections recorded as of noon on Thursday (Sept 8), bringing the total number to 292, said the Ministry of Health (MOH) & the National Environment Agency (NEA) in a statement. In addition, there is a potential new cluster in the Ubi Crescent area. involving 2 previously reported cases and a new one. Of the new cases, aside from the one in Ubi Crescent, four are linked to the Aljunied Crescent/Sims Drive/Kallang Way/Paya Lebar Way cluster, one is linked to the Bishan Street 12 cluster, and another is linked to the cluster in Elite Terrace in Siglap. 8 new cases of locally transmitted Zika were confirmed on Wednesday (Sep 7), bringing the total number of confirmed cases in Singapore to 283. 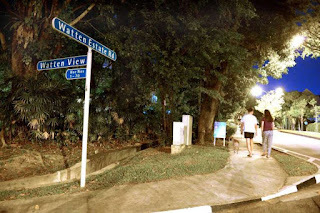 Authorities added that there is a potential new cluster in the Elite Terrace area at Siglap, involving a previously reported case & a new case today. In a joint statement, the Ministry of Health (MOH) and National Environment Agency (NEA) added that, of the 8 new cases, two are linked to the Aljunied Crescent / Sims Drive / Kallang Way / Paya Lebar Way cluster, and one is linked to the Bishan Street 12 cluster. The other four cases have no known links to any existing cluster. 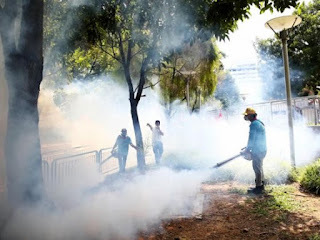 NEA said that it will continue with vector control operations in the cluster areas at Aljunied Crescent/ Sims Drive/ Paya Lebar Way/ Kallang Way/ Circuit Road/ Geylang East Central/ Geylang East Avenue 1, as well as cluster areas at Bedok North Avenue, Joo Seng Road, and Bishan Street 12. It will also be carrying out vector control operations and outreach efforts at the potential new cluster at Elite Terrace. Singapore confirmed eight new cases of locally transmitted Zika virus infection as of Wednesday, said the Ministry of Health (MOH) and National Environment Agency (NEA) in a joint statement. Wednesday's update brings the total number of Zika infections in Singapore to 283. 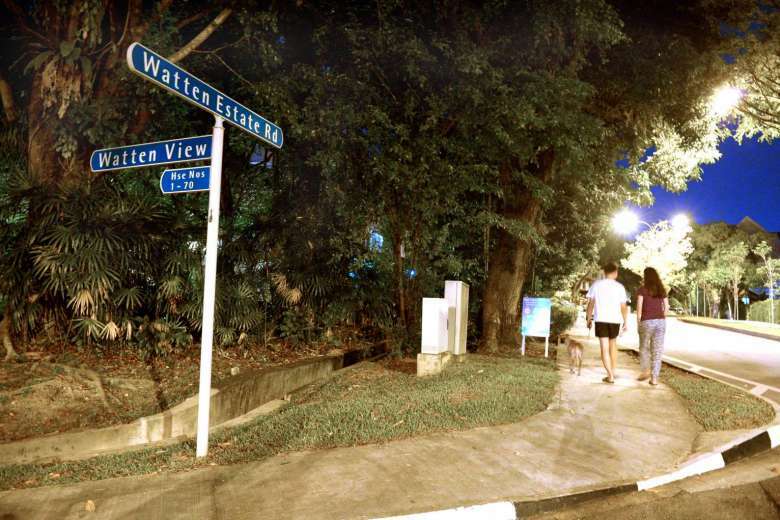 The ministry said among these newly reported cases, two cases are linked to the Aljunied Crescent/ Sims Drive/ Kallang Way/ Paya Lebar Way cluster, and one case is linked to the Bishan Street 12 cluster. There is a potential new cluster involving one previously reported case and a new case on Wednesday, according to the joint statement. They both live in the Elite Terrace area. The other four cases have no known links to any existing cluster. 17 new cases of locally transmitted Zika were confirmed on Tuesday (Sep 6), bringing the total number of confirmed cases in Singapore to 275. Authorities added that there is a potential new cluster at Bishan Street 12, involving a previously reported case and a new case today. In a joint statement, the Ministry of Health (MOH) and National Environment Agency (NEA) added that, of the 17 new cases, 10 are linked to the Aljunied Crescent / Sims Drive / Kallang Way / Paya Lebar Way cluster. Apart from the Bishan Street 12 case, the other six cases have no known links to any existing cluster. 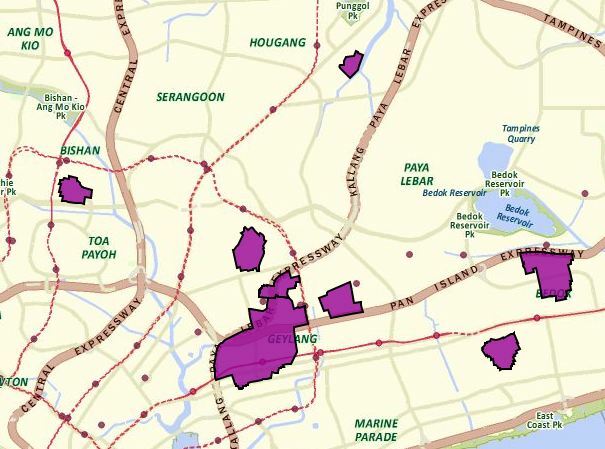 A new potential Zika cluster in the Joo Seng Road area has been identified, in the latest update from the Ministry of Health (MOH) on Sunday (Sep 4). MOH also reported twenty-seven new cases of locally transmitted Zika virus infection here as of noon on Sunday, bringing the total number of confirmed cases to 242. Of these, 25 cases are linked to the Aljunied Crescent/ Sims Drive/ Kallang Way/ Paya Lebar Way cluster. There are 26 new cases of locally transmitted Zika virus in Singapore, authorities said on Saturday (Sep 3), bringing the total number of confirmed cases to 215. In a joint statement, the Ministry of Health (MOH) and National Environment Agency (NEA) said 24 of the new cases are linked to the Aljunied Crescent/Sims Drive/Kallang Way/Paya Lebar Way cluster. They added that two cases have no known links to any existing cluster, but did not specify where these cases were located. 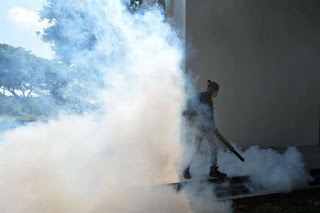 Singapore reported another big batch of Zika virus cases Friday, bringing its total count in just a week to 189, and World Health Organization officials said the spread of the virus definitely still constitutes a global health emergency. Zika's apparent quick spread out of Latin America back to Asia and Africa has WHO officials worried. 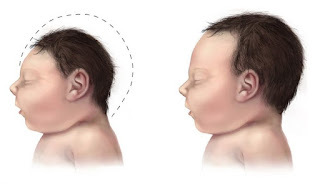 They have no idea if the virus will spread as explosively as it has in the Americas, and they cannot predict if it will cause a fresh wave of birth defects and side-effects such as the paralyzing Guillain-Barré syndrome. They don't even know if they can keep track of it if it spreads into countries with poor healthcare systems and little facility to test people for the virus. 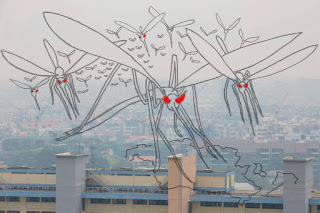 Ministry of Health (MOH) has just issued a press release which states that as of 12 pm of 2 September, another 38 new cases of locally transmitted Zika virus infection found in Singapore, bringing the total number of confirmed cases to 189. Among the new cases, 34 cases are linked to the Aljunied Crescent/ Sims Drive/ Kallang Way/ Paya Lebar Way cluster, while the other four cases have no known links to any existing cluster. TODAY newspaper reported that a pregnant woman in Singapore has been diagnosed with both Zika and dengue infections. It is unclear if she is among the two pregnant women Ministry of Health identified in its earlier press release. The 24-year-old entrepreneur received her Zika test result on Sep 1, and the doctor told her she had probably caught the virus a week ago. Test show that the baby was developing normally, but she would have to be tested again for any abnormal foetal development four weeks later. The mother os a child, the woman intends to follow through with her pregnancy. 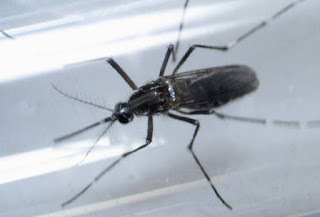 Singapore authorities meanwhile said Thursday that a second woman has been confirmed to be infected with the Zika virus as the total number of people infected so far rose by 36 to 151. Three of the new cases were in other parts of Singapore away from the original cluster that affected the Aljunied Crescent and Sims Drive areas in the central eastern part of Singapore. One case in Harvey Crescent is nearer to Changi Airport. 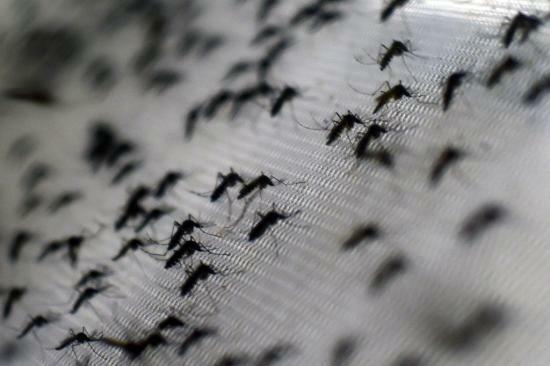 Singapore's Zika virus outbreak spread further, with 36 new cases being reported Thursday. Three of the new victims, not linked to any existing infection clusters, live in Tagore Avenue, Yishun Street 81 and Harvey Crescent, while a pregnant woman has also tested positive for the virus, according to a joint release by the Ministry of Health (MOH) and the National Environment Agency (NEA). The total number of infected cases in the Southeast Asian city-state currently stands at 151. As of 1 September, 31 new cases of locally transmitted Zika virus infection has been confirmed by the Ministry of Health (MOH), bringing the number of people infected in Singapore to 151. Of the 31, three cases are not linked to any existing cluster. They live in Tagore Avenue, Yishun Street 81 and Harvey Crescent. One of the cases confirmed today is pregnant; she is linked to the Aljunied Crescent/Sims Drive cluster. Her doctor is following up closely with her to provide support and counselling, MOH said. The Singapore government said on Thursday it had discovered 31 more cases of locally transmitted Zika virus, including a second pregnant woman, taking the total number of cases to 151. 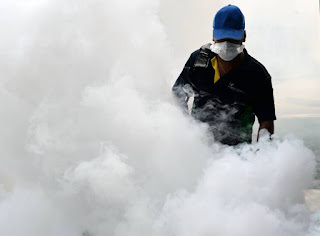 Of the 31, three cases were not linked to any of the previously existing clusters, a joint statement from the Ministry of Health and the National Environment Agency said. 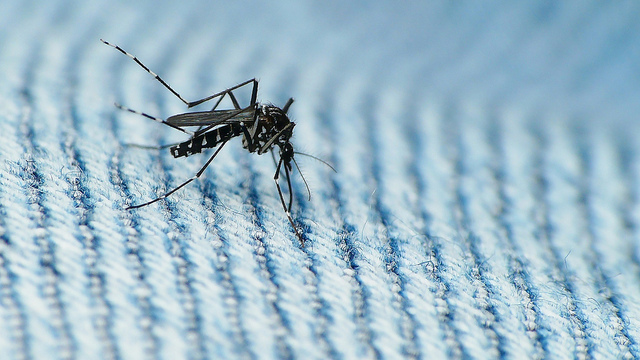 Singapore is the only Asian country with active transmission of the mosquito-borne Zika virus, which poses a particular risk to pregnant women. A total of 115 Zika infections has been confirmed in Singapore, including the 1st pregnant woman in the country to be diagnosed with the virus, the Ministry of Health (MOH) & National Environment Agency (NEA) said in a joint briefing on Wed evening (Aug 31). 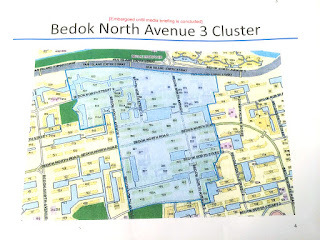 The authorities also identified a new potential cluster at Bedok North Avenue 3, & also confirmed 24 new cases, most of which are from the existing cluster. Of the 24 new cases, authorities said 22 cases are from the Sims Drive/Aljunied Crescent cluster, which now also extends to Kallang Way and Paya Lebar Way. 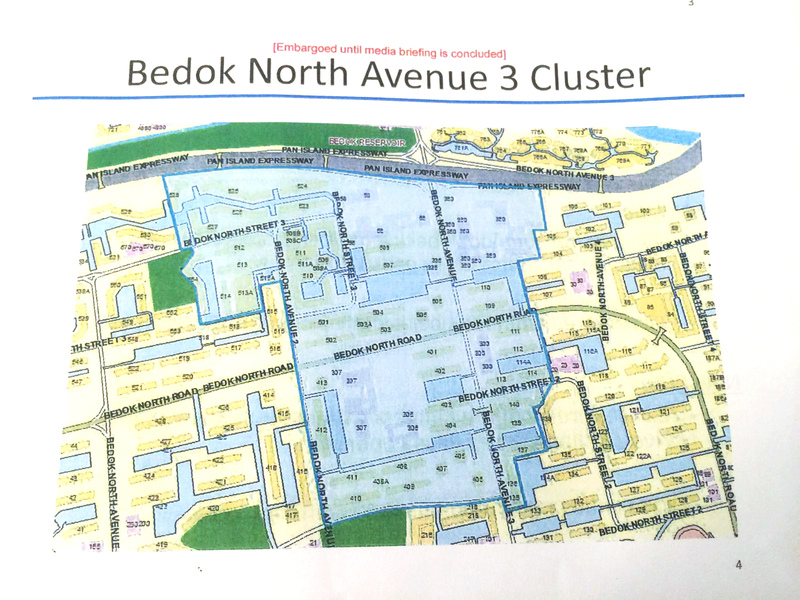 The Ministry of Health (MOH) has identified a potential cluster of Zika virus infection at the Bedok North Avenue 3 area. MOH was also notified today that a pregnant woman living in the Aljunied Crescent/ Sims Drive area was tested positive for Zika virus infection. 24 new cases were identified today. Of these, 22 were from the Aljunied Crescent/Sims Drive/ Kallang Way/ Payar Lebar cluster. Two cases had no known links to the affected areas. One case lives at Joo Seng Road and the other at Punggol Way. Inaddition, nine cases were detected as a result of MOH’s look-back testing of previous cases. There is a potential cluster involving three previously reported cases. They are staying at the Bedok North Avenue 3 area. One of the cases works at the Aljunied Crescent/ Sims Drive area while the other two cases had no known links. 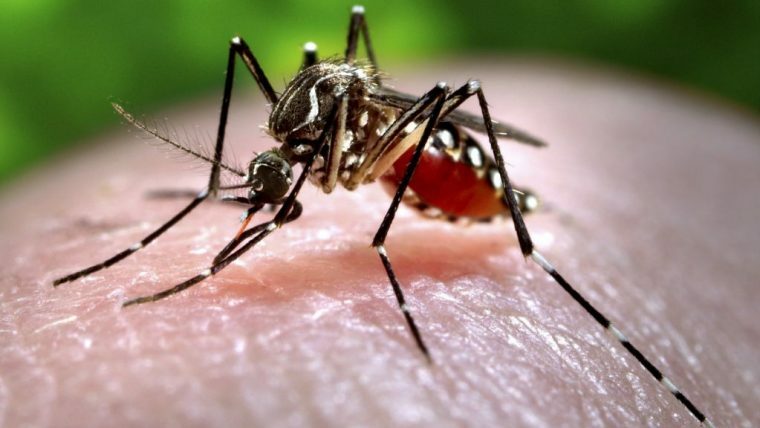 Singapore urged all pregnant women showing symptoms of fever or rashes to have themselves tested for the Zika virus Wednesday after the number of cases in the city-state soared to 115. 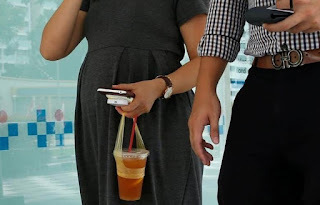 The United States and Britain joined Australia & Taiwan in advising pregnant women to avoid non-essential travel to the city-state. Environment agency workers stepped up efforts to eradicate mosquitoes that spread the disease, expanding a fumigation campaign centred on the "ground zero" of the outbreak, the eastern suburb of Aljunied. 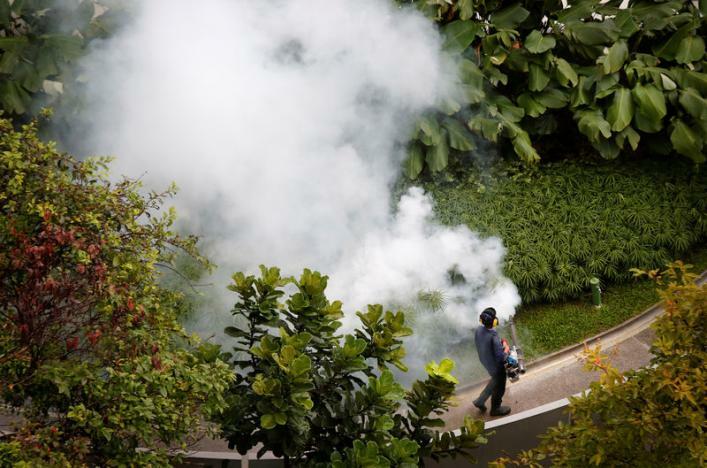 The number of Zika cases in Singapore has surged to 82, the government said Tuesday, as the mosquito-fighting effort continued in a bid to curb the spread of the disease. Singapore's Ministry of Health and National Environment Agency confirmed 26 new local infections -- the majority around the eastern Aljunied suburb where most of the other cases have been clustered. Many of the initial cases were foreign workers on a condominium project. The Ministry of Health (MOH) and the National Environment Agency (NEA) said in a joint statement that as of 12pm today (30 Aug) 26 more cases of locally transmitted Zika virus infection in Singapore have been confirmed. Another 111 individuals were tested negative over the last 24 hours. 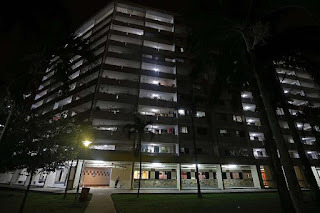 17 of these news cases live or work in the Sims Drive/ Aljunied Crescent area, while 5 live or work in Kallang Way and Paya Lebar Way, which is north of north of Sims Drive/Aljunied. MOH and NEA are investigating the remaining 4 cases for their links to the affected area. 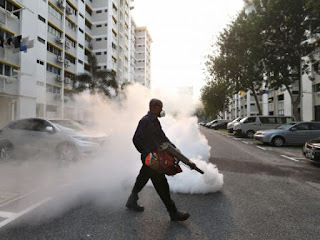 The joint-statement also said that as of 29 Aug, NEA has inspected about 5,000 premises out of an estimated 6,000 premises in the Aljunied Crescent/Sims Drive cluster to check for mosquito breeding, and also conducted ground checks in the vicinity. 26 more cases of locally transmitted Zika virus infection have been confirmed in Singapore, the Ministry of Health (MOH) and National Environment Agency (NEA) said in a joint statement on Tuesday (Aug 30). This is on top of the 15 cases confirmed on Monday and the 41 cases on Sunday, bringing the total number of confirmed cases in S'pore to 82. In their media release on Tuesday, the agencies gave more details of the new cases: 17 of them live or work in the Sims Drive/ Aljunied Crescent area and 5 live or work in Kallang Way and Paya Lebar Way, north of Sims Drive/Aljunied. The authorities are investigating the remaining 4 cases for their links to the affected area. The agencies added that another 111 individuals were tested negative over the last 24 hours. 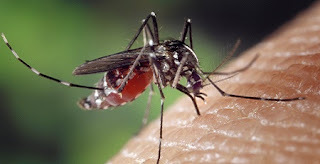 The Ministry of Health (MOH) has announced that 15 more cases of locally transmitted Zika virus infection have been confirmed here as at 12pm on 29 Aug 29. This brings the number of locally-transmitted Zika cases to 56. MOH said that 2 cases have recovered and that they work at the construction site at 60 Sims Drive. 13 cases live or work in the broader Sims Drive/ Aljunied Crescent area. The tally now stands at 56. Previously 41, the number of confirmed cases of locally transmitted Zika virus infections continues to increase. 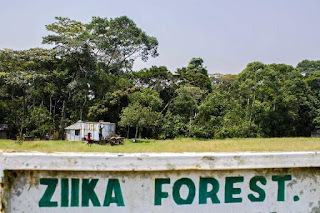 In a joint statement from the Ministry of Health (MOH) and the National Environment Agency (NEA), it was revealed that 15 more cases of locally transmitted Zika virus infection had been confirmed as of noon yesterday. YESTERDAY it was one. Today it is 41. How many Zika infections are still to come? After confirming the first patient, a 47-year-old Malaysian woman, as the first locally-transmitted case, previous GP cases in the area were scrutinised, and a construction site was canvassed. The confirmed number shot up to 41, with cases that go as far back as July 31. 37 cases were construction workers from the Sims Urban Oasis worksite nearby. 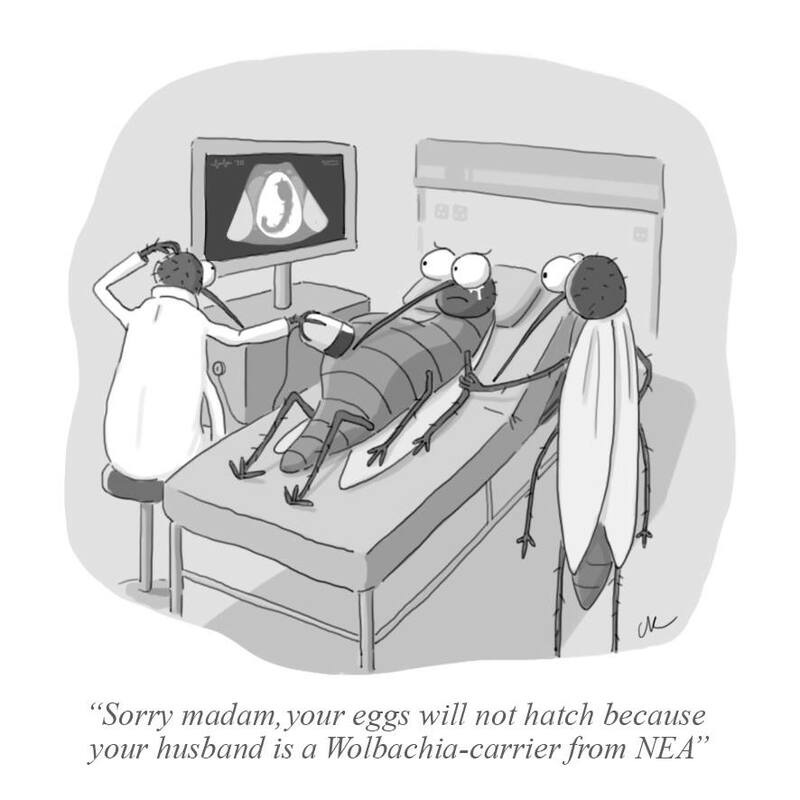 Don’t panic – Zika is not even as severe as dengue, for which there have been nearly 11,000 cases, all probably locally-transmitted, since the start of this year. The danger, however, is for pregnant women: there is a risk of birth defects linked to the virus, although studies are still being done to determine the details. On 27 August, the Ministry of Health and National Environment Agency confirmed the first locally-transmitted case of the Zika virus, as well as the presence of three other suspect cases involving people who live or work in the Aljunied Crescent/Sims Drive area. The number of confirmed cases increased to 41 just a day later on 28 August. The additional cases were identified after MOH conducted active testing of past patients who could potentially have been infected persons. Most of these patients have since recovered. People who have been infected by Zika will show no or mild symptoms only. 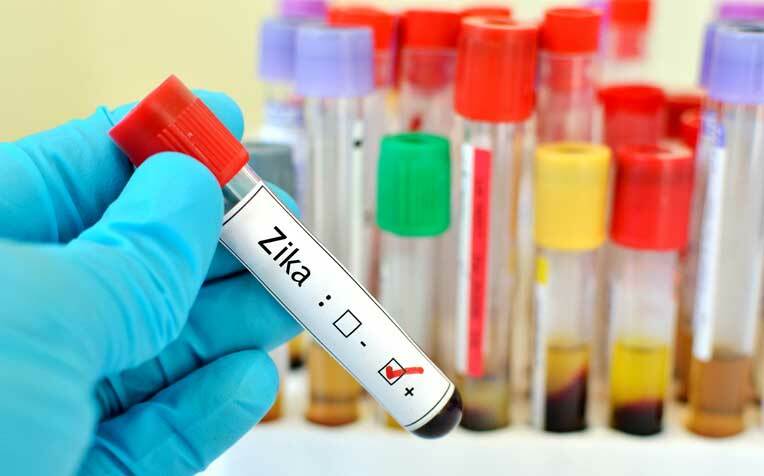 As the majority of people infected with the virus do not show symptoms, it is likely that some transmission may already have taken place before these cases of Zika were confirmed. 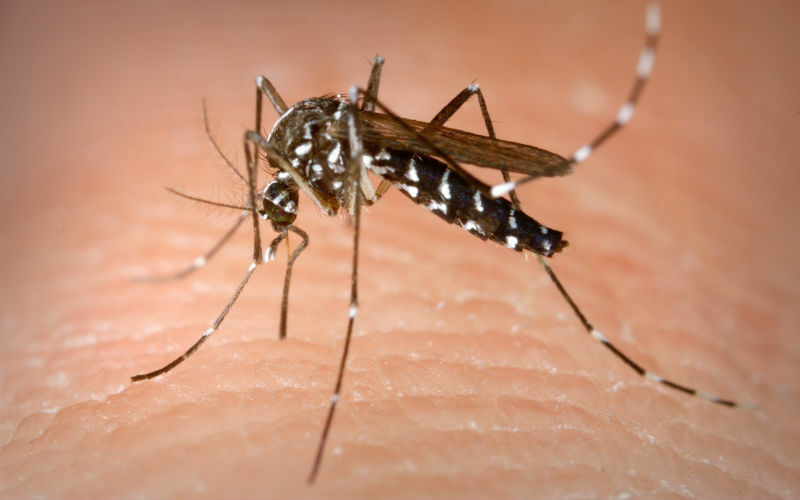 Mosquitoes in the area may have already infected new and unreported cases of other people who may not yet show any symptoms. 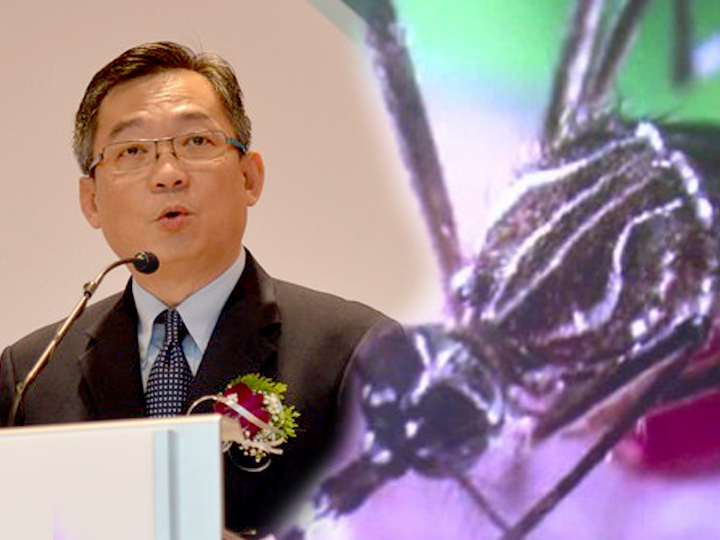 Minister of State for Health Chee Hong Tat late Sunday (Aug 28) rejected suggestions that there have been attempts to cover up Zika cases in Singapore. 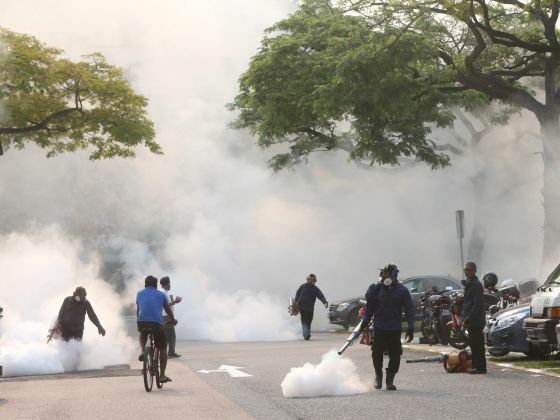 The Ministry of Health (MOH) and National Environment Agency (NEA) had announced earlier Sun that there were a total of 41 cases of locally transmitted Zika in the Aljunied Crescent/Sims Drive area, up from 1 case the day before. Mr Chee noted on Facebook that some people have been wondering about the jump in the number of cases. "A few even asked if there had been attempts to cover up these cases. This is certainly not true," he wrote. 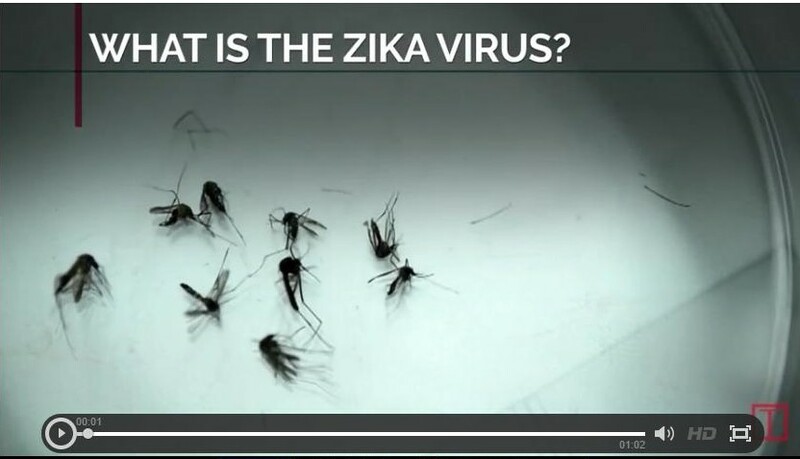 Did MOH do too little, too late for the Zika virus? The first case of locally-transmitted Zika virus in Singapore was announced on Saturday (Aug 27). Predictably, panic and unease set in, leading to many quarters of Singapore society and even opposition parties jumping in to question if there has been any oversight on the part of the Ministry of Health (MOH). In response to public demands for answers, MOH convened a news conference to allay any fears about a possible cover up. The attempted clarifications by Minister for Health Gan Kim Yong and other Ministry of Health (MOH) officials about the outbreak of the 41 Zika cases in Singapore raise fresh concerns. The first case was detected on 31 July 2016. MOH had preliminary results before this was confirmed on 27 August 2016 but decided not to inform the public because it did not want to “create a false alarm”. SERIOUS FAILURES IN HEALTH SYSTEM LED TO SHOCK ZIKA OUTBREAK? The Workers’ Party notes with concern the confirmation of 41 cases of locally transmitted Zika virus infection. We express our solidarity with all persons affected by the Zika virus and we wish all patients a speedy recovery. Prompt public notification of Zika cases is important so that members of the public in the affected areas can take the necessary precautions and so that stakeholders can take vector control measures. As a matter of process improvement and learning, we call on the government to clarify the time-line for public notification of these cases as follows. Did the Health Ministry Wilfully Cover-Up the Incidents of Zika Virus Infections? How did 1 known case become 41 known cases over the span of 1 day? And, how could 34 be making a full recovery from it so soon? Such questions have led factions of the public to cry “cover-up” by the Ministry of Health. Their accusation is bolstered by the manner in which the MOH and Singapore General Hospital hid the outbreak of Hepatitis C at the hospital, before eventually coming clean with the public months later. By then, the number of infected persons had already multiplied. So is it a cover-up this time, when it comes to the Zika virus infections? Note that the announcement on Saturday read first LOCALLY-TRANSMITTED case. I’ll come to that in a bit. But first, this is how things unfolded, according to the health authorities. 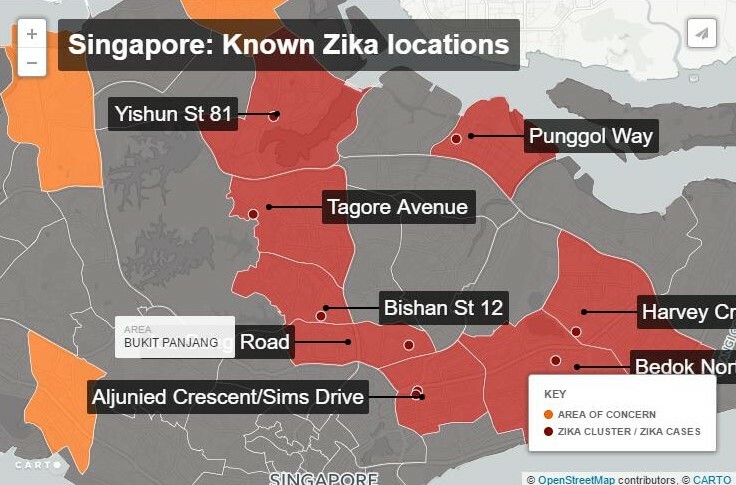 Ministry of Health (MOH) announced on August 28 that 41 people in the Aljunied Crescent-Sims Drive area tested positive for the Zika virus. This came after news broke yesterday (August 27) that a 47-year-old female was the first locally transmitted case of the virus. MOH conducted screening in suspected areas when the 47-year-old female living in Aljunied Crescent was first referred to the Communicable Diseases Centre (CDC) at Tan Tock Seng Hospital on August 26. The results of the screening only came back on August 27. According to MOH, out of the 41 confirmed cases, 36 are foreign workers, four are Singaporeans, and one is Malaysian. 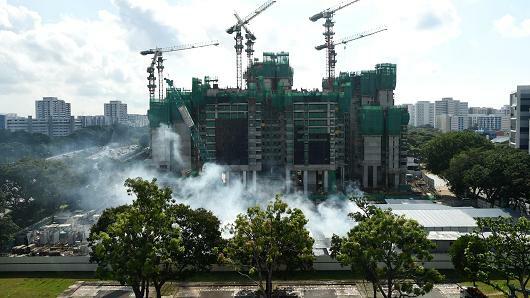 The foreign workers are working at a construction site situated at 60 Sims Drive. The deadly Zika virus has hit Singapore with the Ministry of Health (MOH) confirming 41 victims as of Sunday (Aug 28). With symptoms similar to dengue like muscle aches and fever, the Zika virus is highly infectious and can be easily transmitted via an infected Aedes mosquito, and vice-versa, an Aedes mosquito can be infected by sucking on the blood of a Zika virus carrier host. Aedes mosquitoes are a very common genre of mosquitoes with distinctive black and white markings on its body. According to the MOH, vicinities around Aljunied Crescent and Sims Drive are blacklisted for the breeding of Zika-carrying mosquitoes. Since detection and recovery takes weeks, the MOH tacitly admitted they covered up the news of the virus spread by claiming that “34 has recovered fully” as of yesterday (Aug 28). MOH however announced its “first victim”, a Malaysian lady working in Singapore, only on Friday (Aug 27). 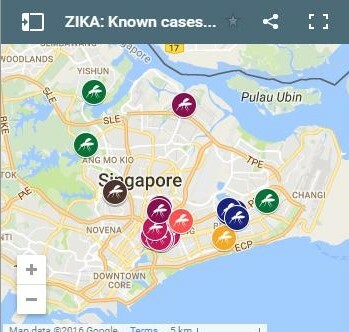 Other areas which might have Zika-infected mosquitoes include Khatib Camp, Sembawang Drive; Kranji Road, Joo Chiat Place, Senoko South Road, Toh Guan Road East and Lorong 101 Changi. All areas are workplaces or housing locations of the infected. Singapore has confirmed 41 cases of locally-transmitted Zika virus, mostly among foreign construction workers, and said it expected more cases to be identified. 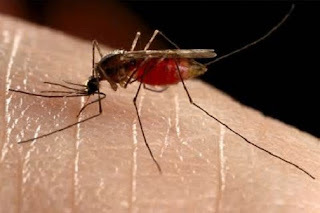 All but seven of those infected have fully recovered, the health ministry and the National Environment Agency (NEA) said in a joint statement on Sunday. Those seven remain in hospital. 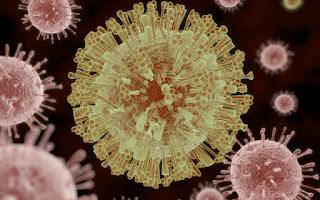 On Saturday, authorities had confirmed a 47-year-old Malaysian woman living in southeastern Singapore as the city-state's first case of a local transmission of the virus - which in Brazil has been linked to a rare birth defect. MOH notes that out of the 41 cases, 36 were detected through active testing. Out of the 41 cases, 34 cases have fully recovered. The remaining seven, "who were mostly tested on Aug 27", are still symptomatic and recovering at Tan Tock Seng Hospital. A 47-yr old Malaysian woman residing at Block 102 Aljunied Crescent has contracted the Zika virus in what is believed to be the first locally transmitted case. The woman had not travelled to Zika-infected areas recently so health officials said she is likely to have been infected in Singapore. The unnamed woman went to see her local GP on Friday after developing a fever, rash & conjunctivitus a day earlier & was then referred to Tan Tock Seng Hospital's Communicable Diseases Centre (CDC). Singapore has confirmed its first case of a locally-transmitted Zika virus, which has been linked to microcephaly, a rare birth defect, in Brazil, the health ministry said. Singapore on Saturday reported the first locally-transmitted case of the Zika virus, with three other suspect infections pending confirmation. Authorities identified the confirmed patient as a 47-year-old Malaysian woman residing in the city-state. 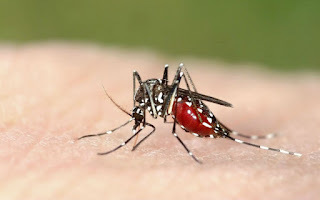 "As she had not travelled to Zika-affected areas recently, she was likely to have been infected in Singapore," the Ministry of Health (MOH) and the National Environment Agency said in a joint statement late Saturday. 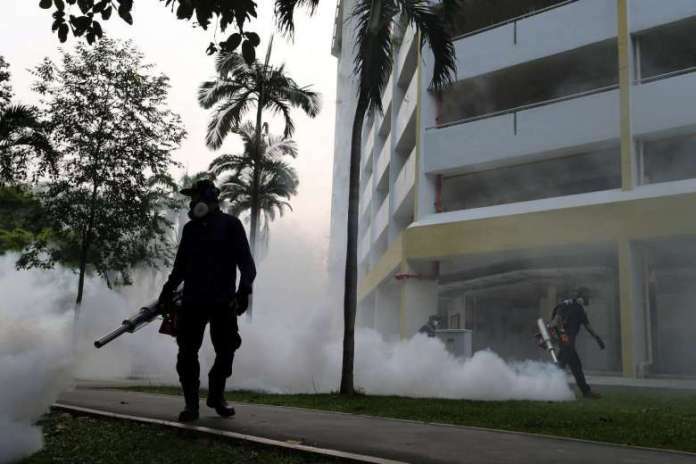 While details of Singapore's first local case of Zika infection are only beginning to emerge, the National Environment Agency (NEA) has already taken steps to monitor the situation at Aljunied Crescent & prepare residents for battle. 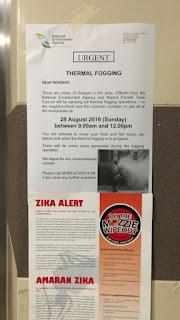 When The Sunday Times visited last night, posters had been put up at the lift landings of Block 102, providing background information on Zika. Another poster informed residents that fogging of the area would take place this morning. 5 NEA officers were seen in the area last night distributing leaflets and bottles of insect repellent spray. A 47-yr-old Malaysian woman who lives in the block was yesterday confirmed to have the Zika virus. It is the first locally transmitted case in Singapore. When she found out she was pregnant five months ago, Aljunied Crescent resident Mastika Yacoob, 42, told herself she would take no chances with the dangers of dengue. For the first three months, the designer made sure she had a mosquito patch on her at all times. Her concerns abated in her fourth month, and she stopped wearing them. 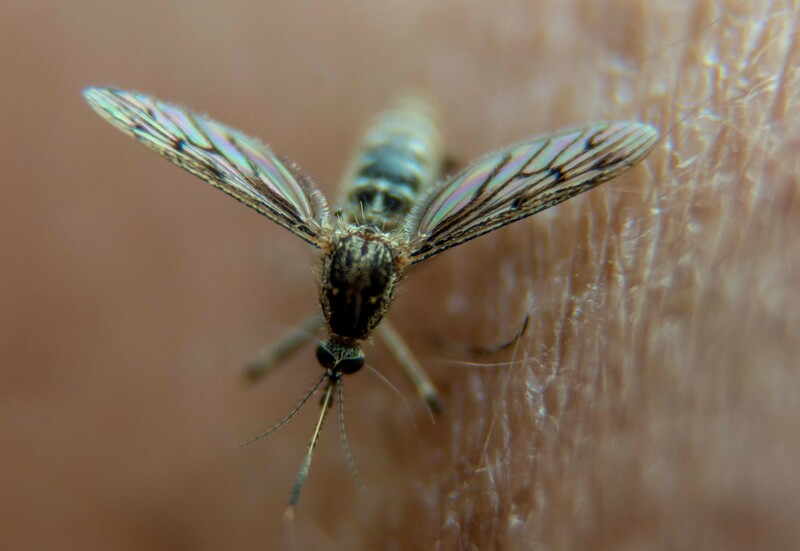 It’s a hot, steamy summer across much of the United States, and mosquito bites are as much a part of the season as backyard barbecues. This year, though, daily headlines remind us that a bite can bring more than an irritating itch. Mosquitoes are highly efficient disease-transmission machines. 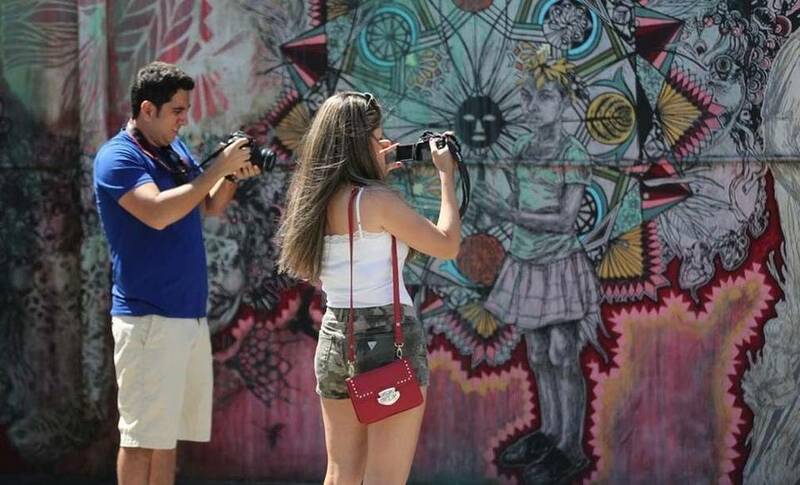 The outbreak of Zika virus in parts of Miami has put pregnant women there at risk. 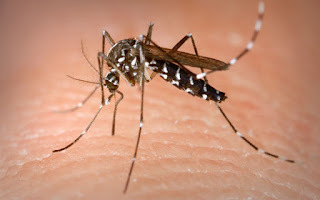 Mosquitoes can also transmit West Nile virus, dengue fever and chikungunya, another viral illness finding its way into the United States. For nearly 70 years, scientists have known of the existence of an obscure mosquito-borne virus that has gradually spread from its birthplace in Africa to the Indian subcontinent, East Asia and even some far-flung islands in the Pacific. But few of those infected got sick, and most of those who did suffered no more than a mild fever and a rash. And so it wasn’t until Zika exploded with previously unseen speed and severity across Brazil and the rest of South America in 2015 that the world — and researchers — began to pay the virus much heed. Now, as evidence mounts that Zika can cause a host of grim birth defects, and as transmission of the virus by mosquitoes extends across the U.S. territory of Puerto Rico and into South Florida, scientists are in a race to crack the code of an organism and an epidemic that, in spite of numerous and rapid advances, remains largely mysterious. 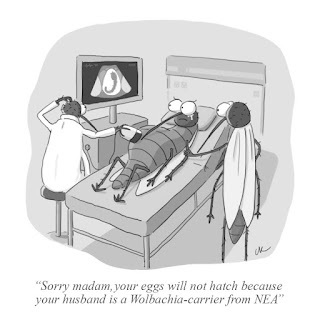 In the case of the Zika virus, prevention is better than cure. There is currently no vaccine or cure against the virus, hence, clinical management is targeted at symptoms control during the acute infection. The screening method for Zika virus is developed from the current test for chikungunya fever and dengue. In Singapore, anyone who has travelled to Zika-affected areas and returned with a confirmed infection will be hospitalised until tests confirm that the virus is no longer present in the blood. Are Aedes mosquitoes in Singapore now transmitting the Zika virus? 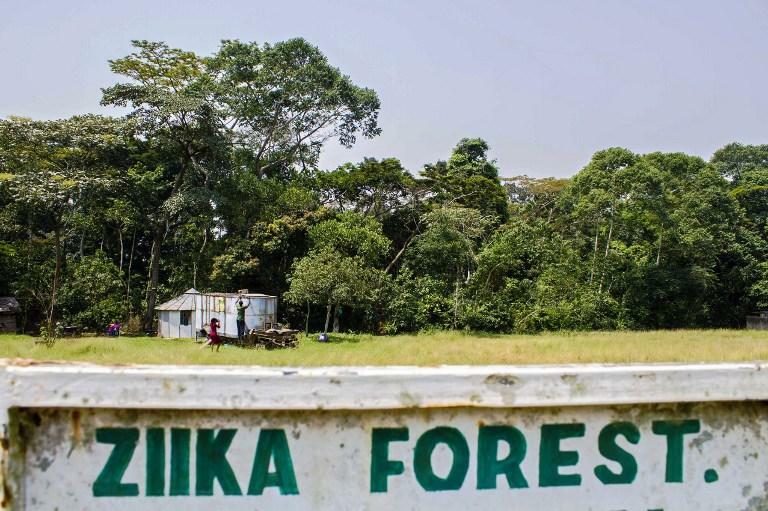 Zika Outbreak : Time To Panic And Get Out Of The Country? The 1st imported case of the Zika virus infection has been reported in Singapore on Friday (May 13). The patient is a 48-yr-old male Singapore permanent resident who had travelled to Sao Paulo in Brazil from Mar 27 to May 7. 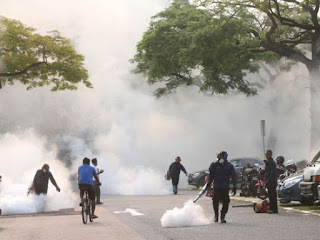 The Ministry of Health (MOH) and the National Environment Agency (NEA) said in a joint statement that they were informed of the case on Friday. Saturated fats are bad for health? Could red meat give you kidney failure? Which is Singapore’s oldest building?